Helsinki and Finland don't get as much tourism attention as they deserve - but they are starting to. The country is very tourist friendly, easy to discover and offers lots to do, especially in summer time, even though people tend to think the only reason to visit Finland is for snow. That's not the case. You'll love this capital if you are a fan of art, design or food. The food and bar scene in particular has been thriving in the last few years. You'll see great restaurants all over town, as well as established favourites like Lasipalatsi and food market halls. Great bars and coffee places live in the Design district and in the gritty up-and-coming area of Kallio where the coolest kids hang out, but you don't have to look hard anywhere for something nice to eat and drink. Helsinki is well-stocked with culture, with more than 50 museums and galleries on offer, as well as the large Design district to explore. This district is spread over a few blocks and packed with nearly 200 of the design shops and galleries that Helsinki is famous for, so it's great for taking a stroll. There is plenty of large-scale design to get good holiday photos, from the imposing Cathedral on Senate Square and the weirdly aesthetic Church of the Rock, to Helsinki's newer structures and iconic trams winding along cobbled roads. Don't miss the view over the whole city from the Olympic Stadium tower. The Finnish National Gallery is the largest in Finland, and it includes contemporary art at Kiasma and a large collection of Finnish art from the 18thcentury onwards at Ateneum, which are both worth a visit and a good way to avoid a rain shower. The UNESCO-listed Suomenlinna fortress is another top-rated sight and area to discover. Live music is always a feature in summertime Helsinki too, often for free. The Finns love to hang out in parks and green spaces during the long summer days, so there are plenty of events to keep everyone entertained. For adventurous spirits, there are outdoor activities and sports that you can do whether you want to be based in Helsinki or go further afield. Good swimming and fishing spots can be reached on islands in the Helsinki archipelago, a few minutes away by ferry. The Finns love to head to the coast and their lake districts in summer, hanging out in cabins by the water and catching fish to barbecue or smoke for dinner. Getting about the city is straight forward using the tram system or on foot. Hiring a bike is also a nice option that helps you discover more of Helsinki's secrets as you pass through different areas. The Helsinki Card is a great package and makes public transport and many of the attractions easy, and includes a tour of the city by bus, or of Suomenlinna by ferry. The 24hr, 48hr or 72hr Helsinki Card covers all your public transport while it's valid, and you can save a further few euros by buying it online in advance. 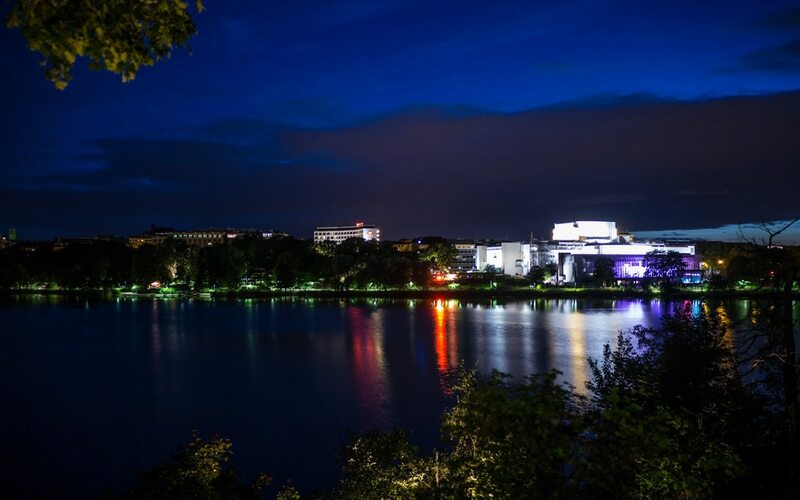 The Night of the Arts festival in Helsinki is one of the oldest White Night festivals, with the original White Nights Festival starting in nearby St. Petersburg, Russia. Lonkero is a typical Finnish long drink, usually made from a mix of gin and grapefruit soda. It was created specially for the 1952 Summer Olympics so that shops and bars would be able to sell alcohol to the large numbers of visitors to the Olympic Games. People in Finland love to dance, and there is a very popular Argentinian Tango scene. There is a season of weekly outdoor dances in Helsinki during the summer that anyone can join in. Listening to music drift over the dark water from the Opera house on the opposite side of the bay, while I enjoyed a hot drink outside the Blue Villa. Hilton Helsinki Airport is a 3-minute walk from the main terminal of Helsinki-Vaanta Airport, and has a covered walkway offering guests direct access. It's a 30-minute drive to downtown Helsinki, where guests can explore the Design District, and tour shops, museums, and the harbor. This sleek, modern hotel is situated in the center of Helsinki, 500 meters from Market Square and Helsinki Central railway station, and 1 kilometer from Kiasma and Ateneum Museums. 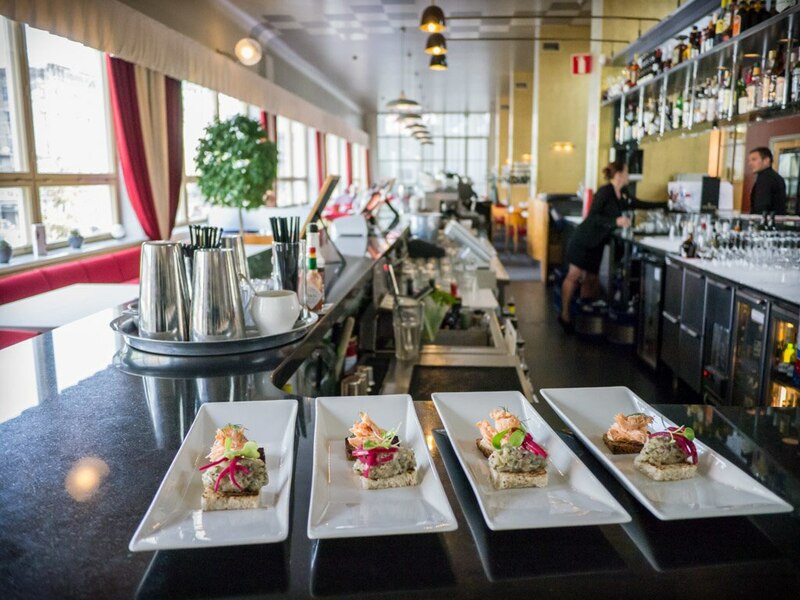 This family-friendly Helsinki hotel is located by the sea, within 1 mi (2 km) of Hietalahti Flea Market, Kiasma Museum of Contemporary Art, and Ateneum Art Museum. National Museum and Finlandia Hall are also within 1 mi (2 km). Located in Kaartinkaupunki, this luxury hotel is within a 10-minute walk of Kauppatori Market Square, Presidential Palace, and Helsinki Cathedral. Senate Square and Uspenski Cathedral are also within 10 minutes. Hilton Helsinki Strand is a 10-minute walk from green-domed Helsinki Cathedral. The vibrant district of Esplanadi is a 15-minute stroll, as is Market Square, where guests can catch a ferry to the Suomenlinna sea fortress, a UNESCO World Heritage Site. Hakaniemi Metro Station is a 5-minute walk. Located in Kamppi, this eco-friendly hotel is within a 10-minute walk of Kamppi Center and Kiasma Museum of Contemporary Art. Ateneum Art Museum and National Museum are also within 15 minutes. Built in 1887 and still renowned for its superior service, this landmark neo-classical hotel stands in the heart of Helsinki across from Esplanade Park and 100 metres from the cathedral. The 58-room hotel at Fabianinkatu 7 right in the heart of the city will expand the range of services available for travellers who prefer to plan their trips themselves. A special feature of the new hotel will be eight extended stay rooms for those who wish to spend a longer time in Helsinki. The architecture of the building plays a key role in the design of the interiors creating a unique identity for the hotel. Modern apartment hotel set in a residential area behind Parliament Square, 300 metres from the city centre and restaurants. Bright apartments in neutral tones with light-wood floors offer complimentary high-speed Internet ports and kitchenettes. Guests can start the day with a buffet breakfast, wind down in the sauna and catch up on the news in the television lounge. Located in Kamppi, this hotel is within a 10-minute walk of Old Church of Helsinki and Ateneum Art Museum. Kiasma Museum of Contemporary Art and Helsinki Cathedral are also within 15 minutes. Take a leisurely trek through magical forests and warm up around a log fire as you taste local snacks and hear intriguing nature stories from an expert guide.